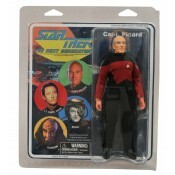 Official Star Trek merchandise! This varsity jacket features a baseball style design in black..
Straight from Funkos amazing ´Nodnik´ line comes this cool bobble-head! 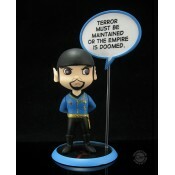 The 10 cm tall Urban..
Star Trek Borg Cube Monitor Mate: Raise shields and arm the photon torpedoes! 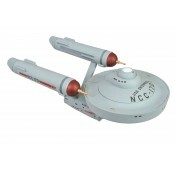 Resistance ..
Minimates - Star Trek: The Original Series - USS Enterprise NCC-1701 Vehicle. This starship Ent.. The voyage continues! 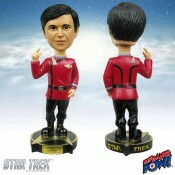 From DST and Art Asylum, it´s a new version of the Minimates-style U.S.S. E..